Yes! 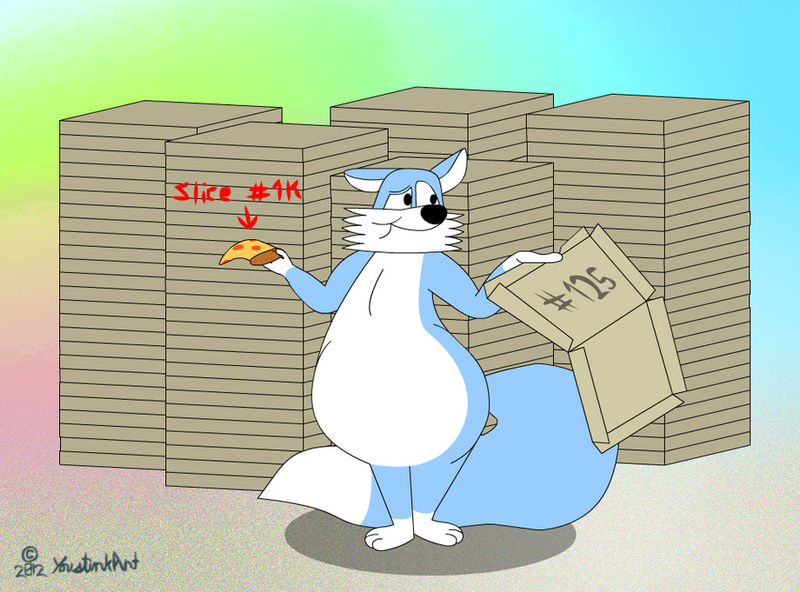 For reaching more than 1000 pageviews on FA, quite a milestone for me! "No. I did not eat all 1,000 slices of pepperoni pizza! Just only 999. There is only ONE more left!! Hoho!!!" I did recall that i L-O-V-E pizza!!! Mostly pepperoni and plain cheese (sometimes mushrooms)!!! Did I mention I did this during my first LiveStream process? Congrats to me, for making it this far on FA! Now WHICH DO YA'LL PREFER - LEAN RUPERT OR CHUBBY RUPERT??? ?